Some Peek in the Stacks blog posts are authored by CSUN students who work in Special Collections and Archives in the Oviatt Library. This week's post was written by Jamie Perez, a junior majoring in Journalism. Jamie is a contributing writer for the Sundial at CSUN and writes newscasts for radio station KCSN. World War I was one of the most lethal battles in history, drawing in major global powers from various nations to fight against one another. 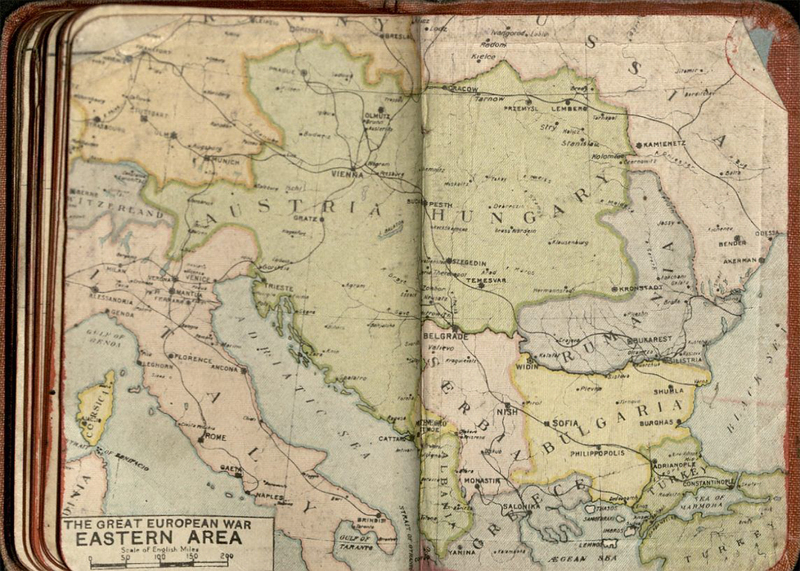 Over the course of four years, from 1914 to 1918, millions of combatants and civilians died as a result of the violence. 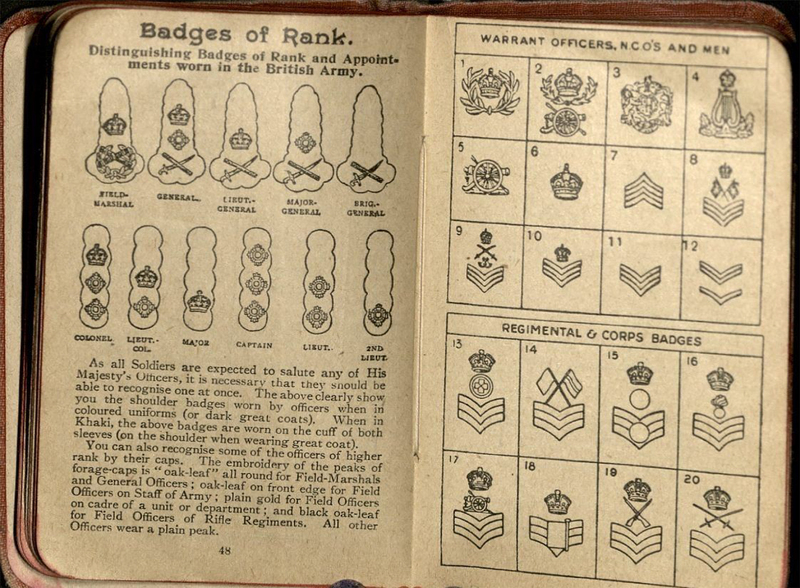 The progress of the war was covered and documented by soldiers who wrote in diaries. 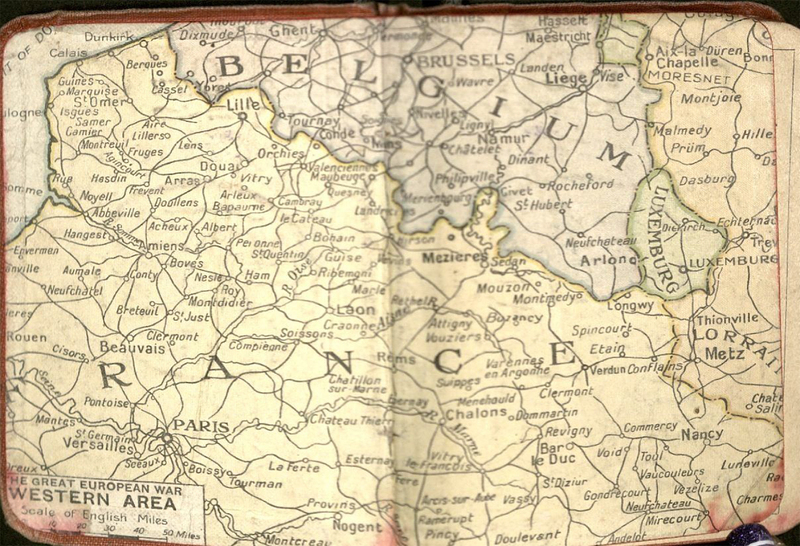 Special Collections and Archives holds two of the Whitfield T. Ganong World War I Diaries in its stacks. 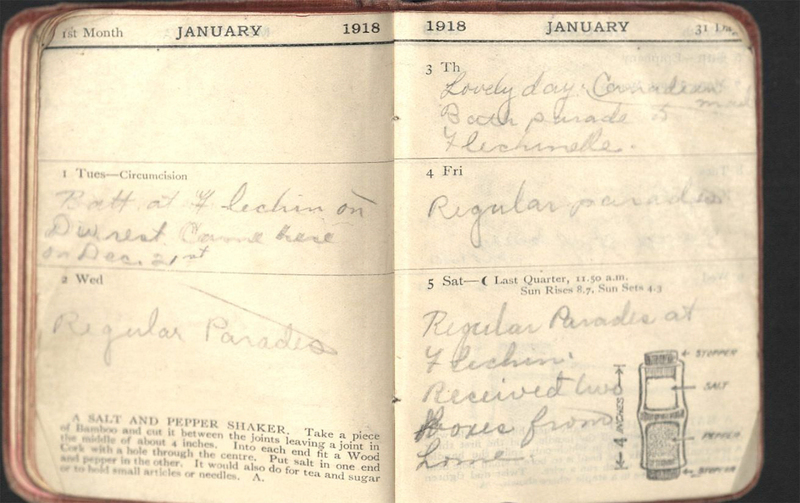 The two diaries are dated 1918 and 1919, and document snippets of his life as he endured the struggles of war. Ganong was born in 1895 in New Brunswick, Canada and joined the Canadian Over-Seas Expeditionary Forces in 1915. He served overseas until 1919 when he was discharged. 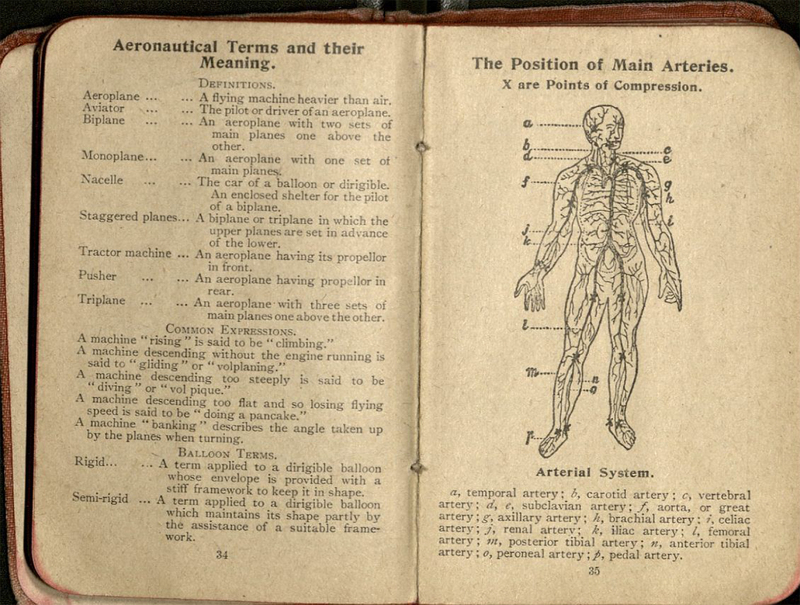 Ganong's notes, such as "explosion killed an engineer" and "riot at Kinmel Park" give researchers insight into the challenges of those that fought in this war. 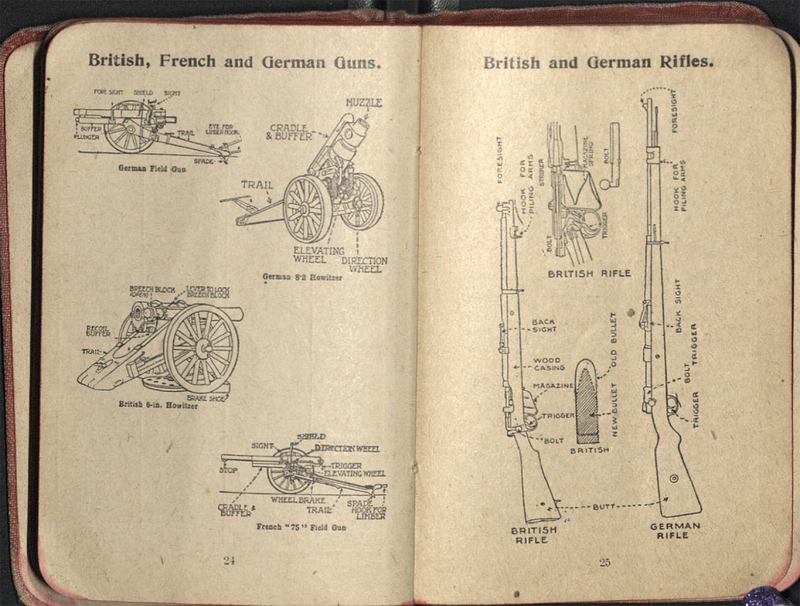 A portion of the diaries includes maps of covered war regions; military term definitions; illustrations of distinguishing flags; diagrams of British, French, and German guns; descriptions of badges of ranks; and pictures of the position of main arteries and compression points. 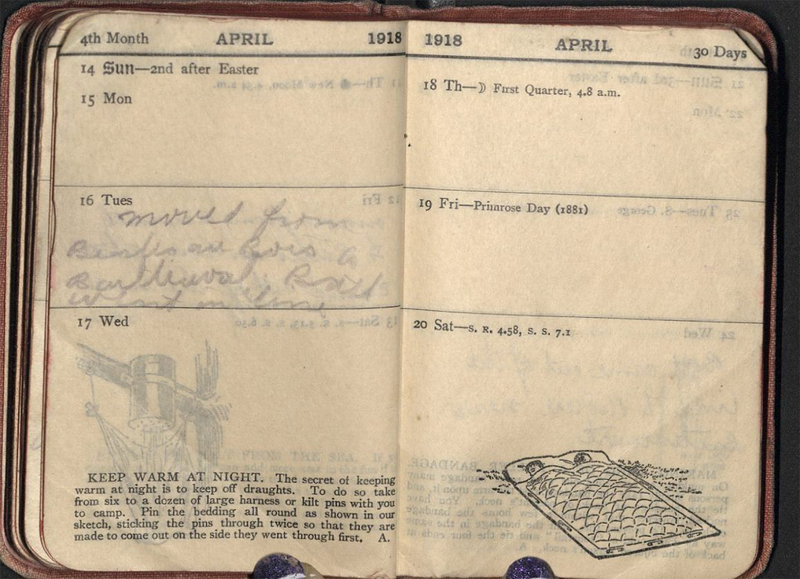 Soldiers could also reference the calendars in these diaries to keep track of what day it was. 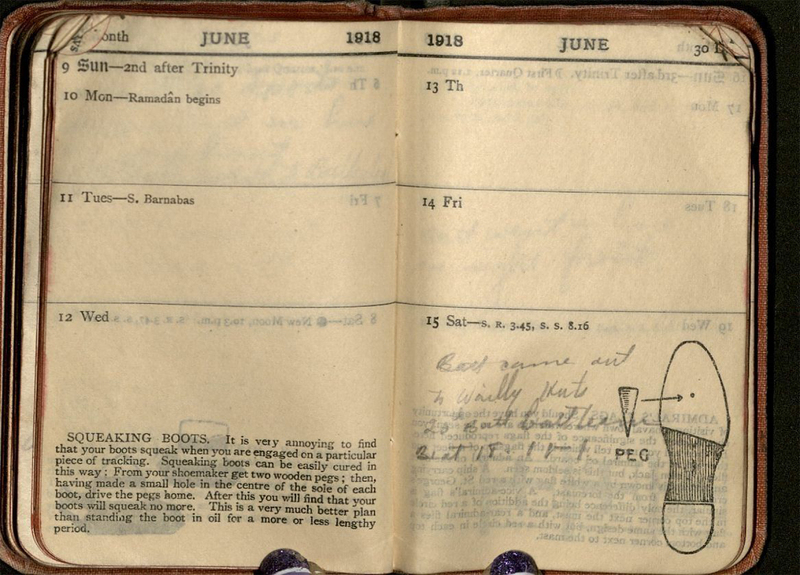 Measuring just three inches by four inches, the diaries were easy to travel with. 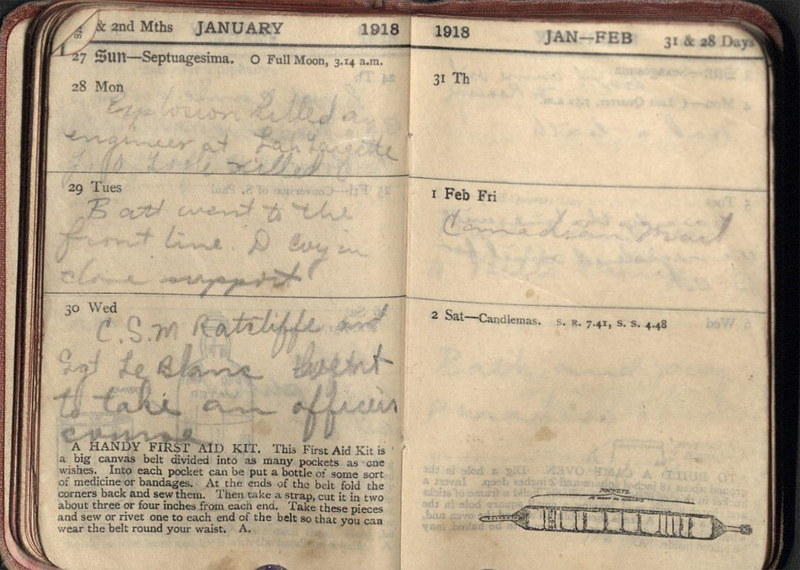 Not only were diaries a place for soldiers to record their thoughts and track their journeys, but they also provided useful tips on how to survive in uncertain circumstances. 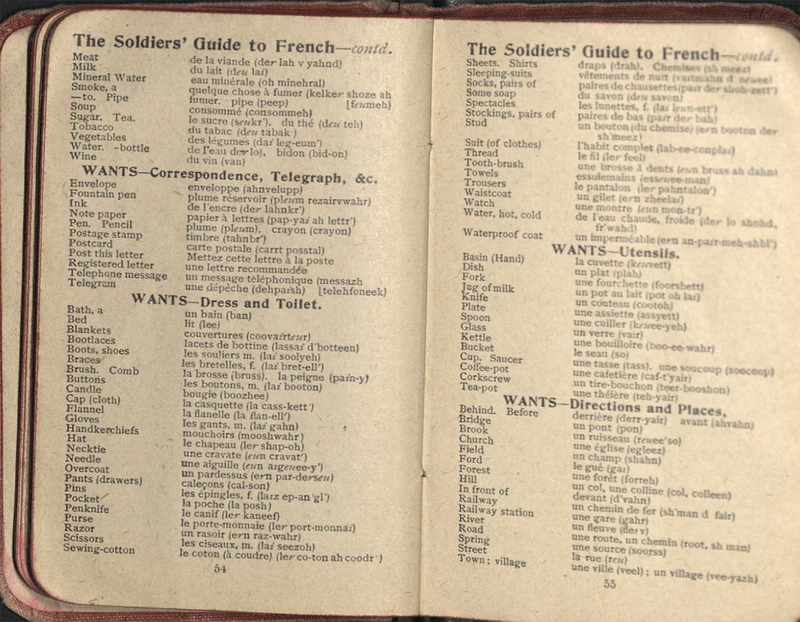 Scattered throughout the pages available for soldiers to write notes on their journey are tips and illustrations that depicted some basic "how to" guidelines. 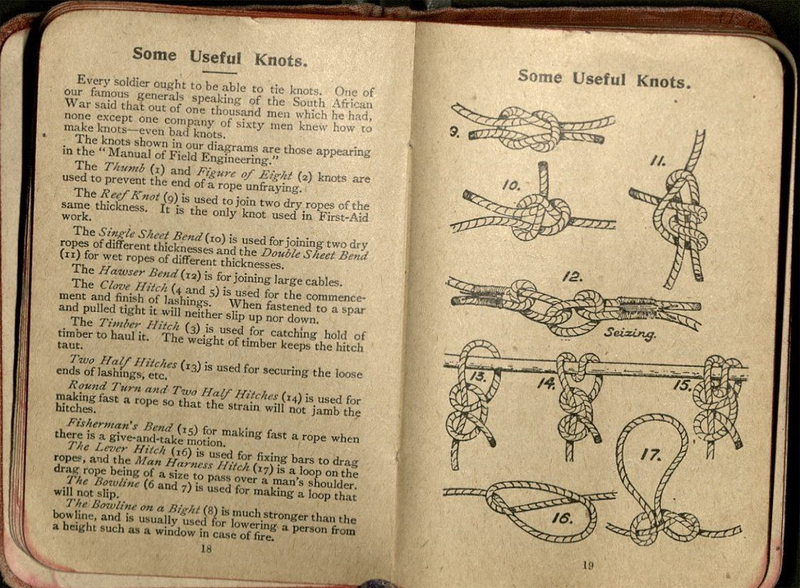 Among these tips are how to keep eggs fresh, how to stay warm at night, how to fix squeaking boots, how to tie a knot, how to read a compass, and how to find directions by day and night. 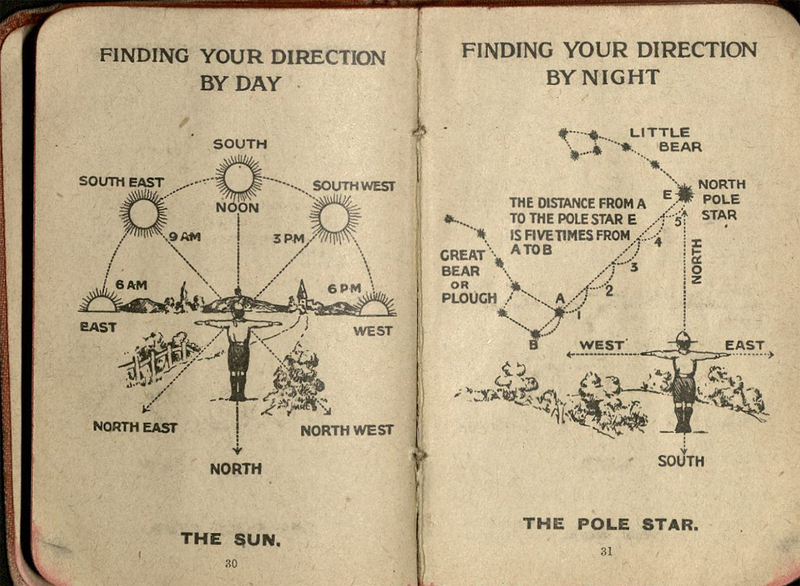 These small tips were useful to soldiers trying to survive with little or no resources and lacking basic luxuries during the war.